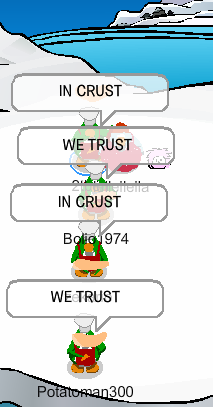 The Pizza Federation – "IN CRUST WE TRUST!" 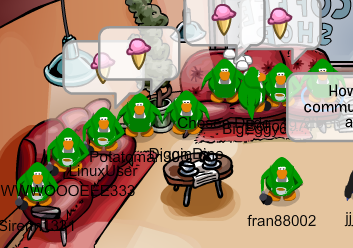 19/04/13: Takeover of Alpha Penguin! 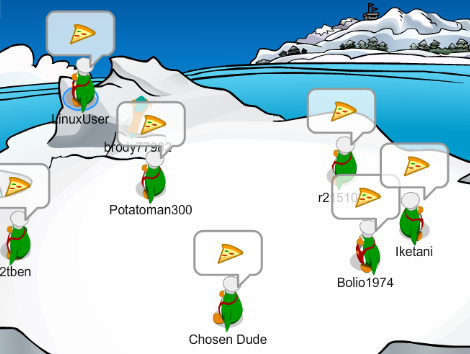 Yesterday, we took over Alpha Penguin, making this our 3rd server! We maxed 7, with Chelpopkick appearing for the event! 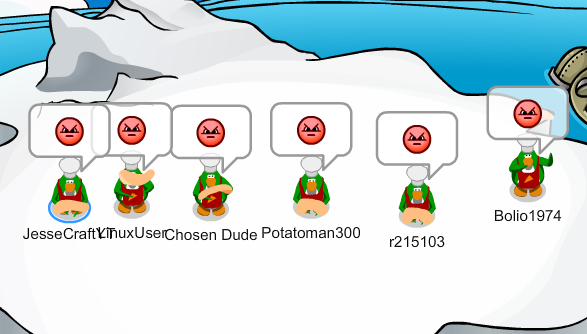 During our event we focused on formations, rakes, blenders and bombs. 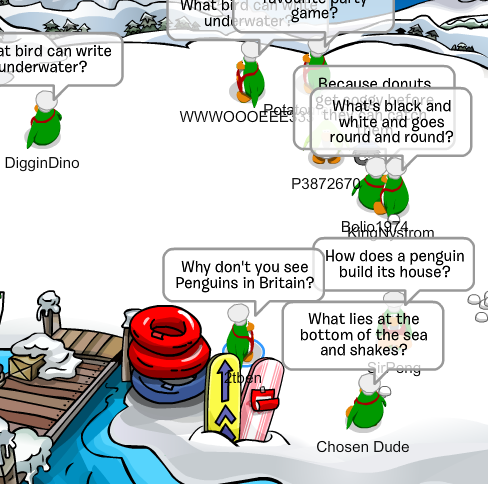 We then ended the event off with just having fun around the island! 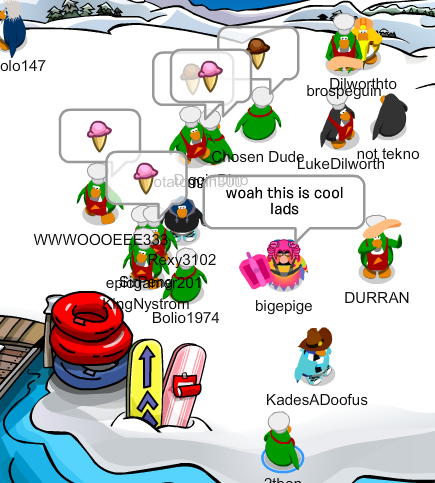 On Thursday, we had a very good training event where we maxed 10. We did Double Lines word tactics, Word Swaps (like an E Alt but with words) and decent formations! I hope we can improve our tactics and do them faster and better! On Friday, we changed our uniform for an event where we became our rouge’s #1 Enemy: The Coffee bois. In our event we maxed 15, we did decent tactics and our formations were pretty good! 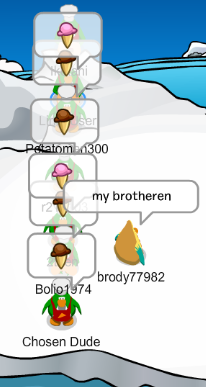 We even got to recruit new members! I hope to see you new members soon! 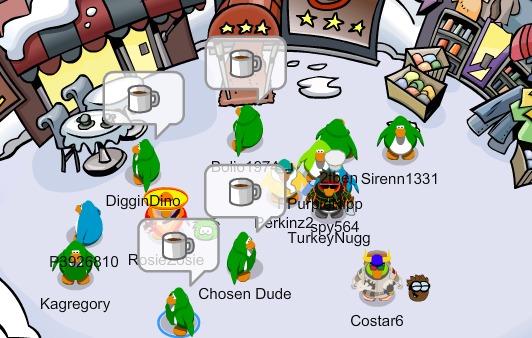 19/04/09: TAKEOVER OF VINTAGE PENGUIN! 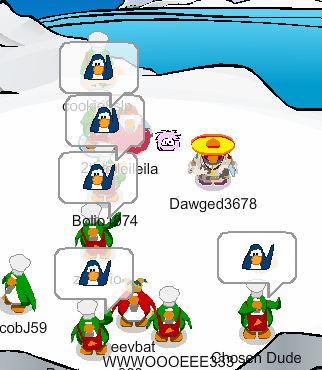 On Tuesday we captured Vintage Penguin’s Sleet! This is now PZF’s 2nd Server on the map.We maxed 7. We did some pretty good tactics. 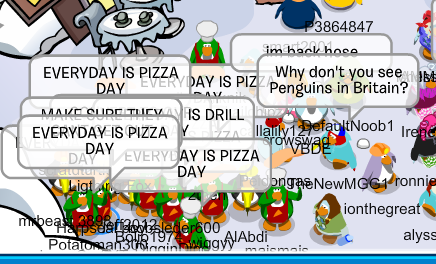 I hope that we can use vintage penguin in the future. 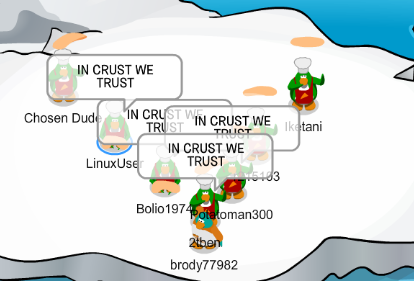 Yesterday we had a pretty good event! 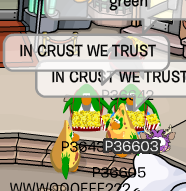 We maxed 14. We practiced e alts, rakes and waterfalls. We have become much faster in our formations, our spacing has improved a lot and our tactics are lasting much longer! I hope i can see this in the next event! On friday we had a decent training session, we maxed 13. We practiced several bombs, crowds and normal tactics. 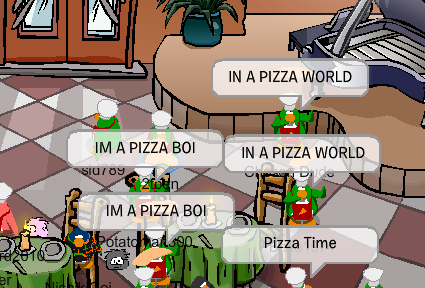 On Tuesday we had a decent recruitment session. 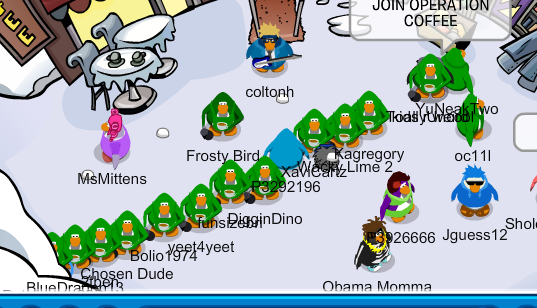 We gained some new members and practiced some decent tactics! Sorry for the bad camera quality, as i was not there for the event and these are all i had. We maxed 10.